With the assistance of our team of professionals, we are engaged in providing an excellent qualityOutdoor LED Signthat is captivating in design and bright in colours which attract the viewer. 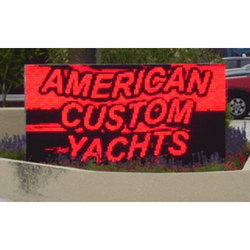 We are one of the leading organizations engaged in offering Outdoor LED Sign. We are a leading manufacturer, supplier, exporter, trader, wholesaler and retailer of excellent quality Outdoor LED Signage. These are available in a number of variants and can be selected as per the customer’s need. 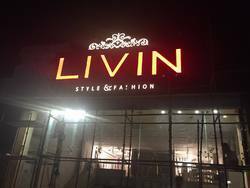 Matching up with the requirements of our clients, we are involved in offering Outdoor LED Sign Board. We are offering Outdoor LED Signage Board. The broad spectrum of Outdoor led signs that we offer are acknowledged for features like excellent light spilling and bright light. These products are manufactured utilizing premium quality raw material. Furthermore, our range is tested thoroughly to determine its supreme quality and defect-free nature. Price varies from Rs 5K to Rs 2 Lakh based on the specification of the product.